Struggling to see a brighter, more successful future? We can help. Whether bad business practices are the problem, or you’ve recently seen a drop in revenue and team enthusiasm, Cornerstone is here to help you get things turned around. With decades of experience, we will help your struggling operation recover, grow and succeed. If you’re behind on your accounting, we’re here to help. Our team of certified QuickBooks experts will help you organize your chart of accounts, ensure your operational systems are built correctly, build out a master list of documentation, and set up your invoicing and check printing systems. The moment you bring us on, we enter full analysis and recovery mode. We’ll analyze each and every aspect of your operation and see what went wrong and how; we’ll do a deep dive into your accounting, your day-to-day operations, and your company procedures and policies to compile a full report and analysis. We’ll do a thorough analysis of your accounting and bookkeeping so we can stop the leaks immediately. Our team will help you figure out any loan issues you might have, as well as ongoing litigation with previous employees or even lawsuits that might be hanging over your head. We’ll complete a full audit of every aspect of your operation and send you a report of the issues we uncover and our step-by-step plan to fix them. We‘ll immediately begin with the most critical needs and work our way down the list. Objectives, procedures, job descriptions, opening and closing checklists, side work standards, and other key policies are key to any restaurant or company in the hospitality industry. 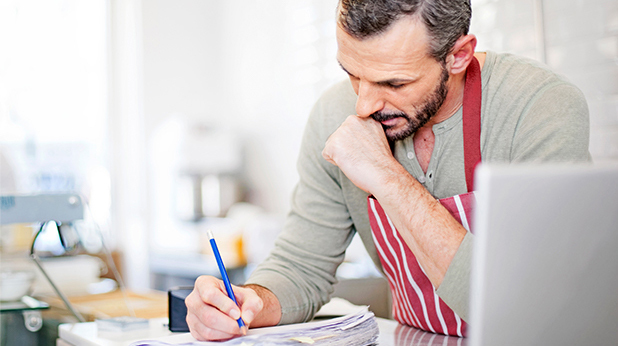 Cornerstone can help you develop a full (or revised) policy and operations manual to protect the consistency, experience, and financial liabilities of your small business. Your restaurant is only as good as your team, and when your restaurant is struggling, training is an even more vital aspect of recovery. With our in-depth, in-person training programs, your team will become more effective sales people and better able to provide a consistent and authentic guest experience. If your restaurant is failing, a factor may be poor guest experiences. We’ll send team members out into the field to complete a full guest experience analysis and evaluation, from the quality of service to the food and beverages and everything in between. We help you implement a long-term strategy, so you don’t fall into the same traps and bad habits you had when we showed up. We’ll compile a comprehensive game plan for maintaining your business’ efficiency, including finances, bookkeeping, management, and CFO services. When you choose to opt in to our Daily Operations Partnership for your Struggling Operation, you’ll get everything your business needs from our Bookkeeping and Recovery Package. We enable struggling business owners to focus on turning their business around without the additional stress of daily operations management. We’ll handle all management and business operations, oversee procedures, employee training, and much more. By conducting mock inspections, we’ll make sure that your business meets all the necessary industry standards to ensure proper insurance coverage and affordable rates. The goal with our Daily Operations Partnership is to come along side you to help you and your business restore, grow and thrive. We truly believe that your success is our success.